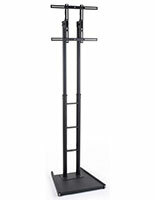 Holds Units up to 70 lbs. 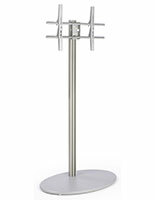 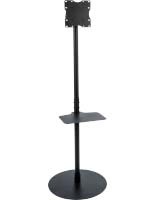 This silver LCD holder, also known a flat panel stand, has a post that can hide wires. 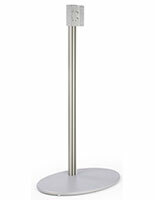 Mounts such as this one make great promotional fixtures at a trade show, mall, showroom, or office. 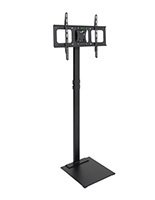 This LCD holder, flat screen display, has a clean, professional look that looks great in any decor. 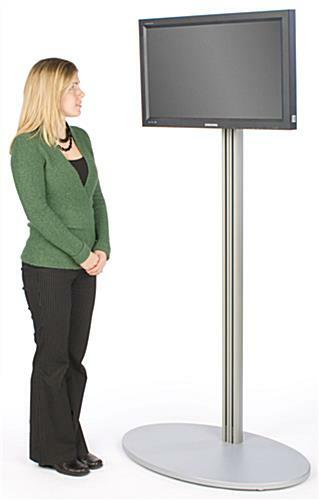 This plasma screen showcase has a large, oval base for stability and tilting views. 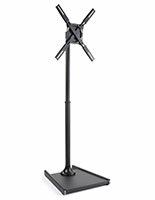 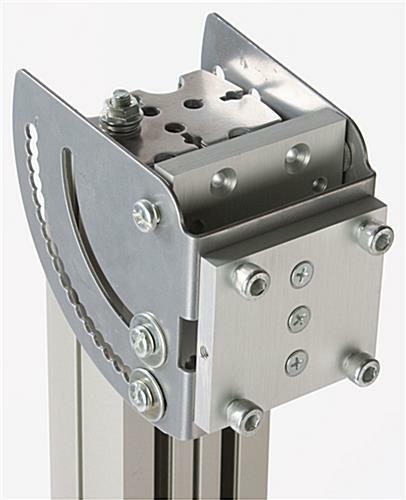 This holder supports up to 70 lbs., with a 200 x 200 VESA bracket that mounts many television makes. 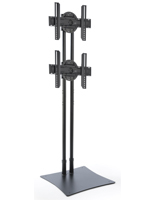 This system ships with washers and screws, and any additional mounting screws can be purchased from the local store. 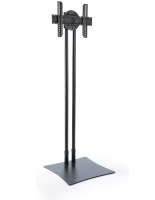 Save on shipping costs because this unit arrives unassembled, and takes just a few minute to put together.